Be strong. Be active. Feel great. Get healthy at any age. We offer a comprehensive array of wellness services designed to promote physical and emotional wellness. Beyond exercise classes and personal training, our staff provide fitness assessments, individualized exercise programs, nutrition information and health education. We encourage you to make healthy choices every day for yourself and for those you love. Powell Wellness Center is a medically-integrated health and wellness center, one of only three facilities in Virginia to achieve certification by the Medical Fitness Association (MFA). In 2018, Powell was recognized as Certified Medical Fitness Facility of the Year. 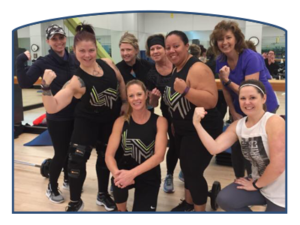 This award presented by the MFA honors an exceptional facility that serves as a benchmark for the medical fitness community, composed of more than 40 certified centers nationally.